This two-storey residence in the Rural Municipality of Morton, a municipally-designated historic site, was constructed in 1904 by mason R. G. Currie and carpenter Ellis Maguire for local farmer William John McKinney and his wife Mary Ann. The locally-manufactured concrete blocks from which it was made were used only for a brief period in the early 20th century. 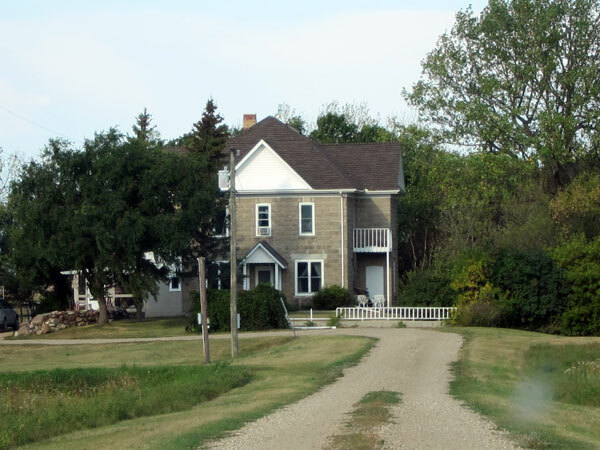 McKinney House, Boissevain area, NE 31-2-20W, Manitoba Historic Resources Branch.